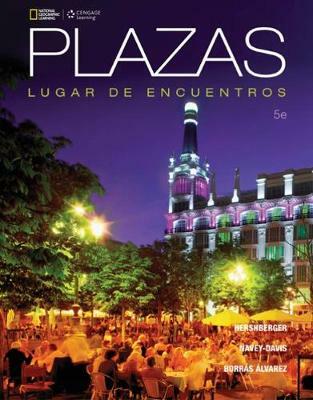 PLAZAS is the place where culture and language find common ground! This accessible introduction to Spanish uses the background of vibrant, Spanish-speaking cultures from around the world to expose you to the language as it is actually used in everyday conversation. With helpful visuals, contemporary examples, and carefully crafted grammar and vocabulary presentations, PLAZAS is your key to success in the course and in the language! PLAZAS is supported by many optional, dynamic learning tools, including a Student Activities Manual, Media Site, online platform and more, which can be purchased separately.